For citizen advocates who have lost faith that real change is possible, this book is a ray of hope that there is another path to community development with good jobs, accessible healthcare and education that opens doors for everyone, not just a few. 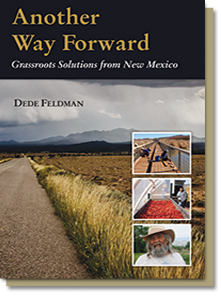 Another Way Forward: Grassroots Solutions from New Mexico offers hope to anyone discouraged by the nation’s inability to tackle problems like poverty and health care. 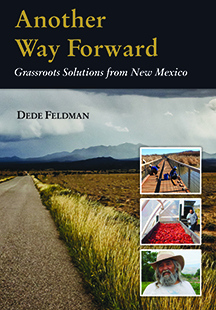 Award winning author and former Senator, Dede Feldman profiles innovative organizations and inspiring local leaders who are changing the world in New Mexico, one neighborhood, one clinic, and one classroom at a time. Developing community partnerships with local government, non-profit organizations and social entrepreneurs reveal an alternative path to community and economic development through foodhubs, land trusts, fire departments, outdoor classrooms, and immersive art experiences. 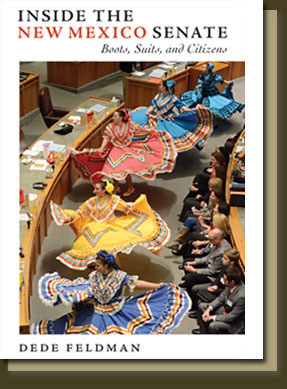 Along the way the readers will learn how they can join in to make a difference at the local level.